From June - July, Camp TLW will be offering youth ages 6 to 12 a unique opportunity to learn on the farm. With a program featuring creative activities, physical exercise and a curriculum reinforcing STEAM-based principles learned in the classroom - Camp TLW will introduce children to the exciting world of growing, harvesting and enjoying fresh food. 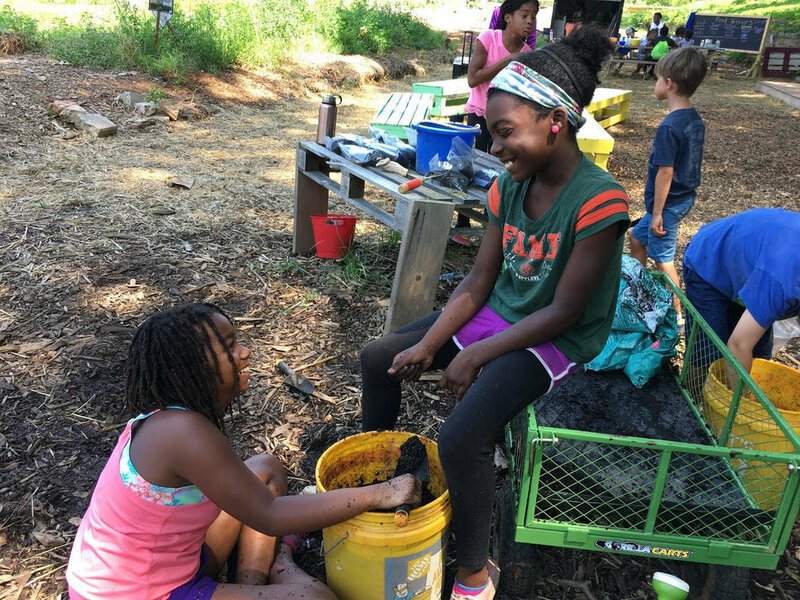 During camp, students can expect farm chores, learning how to grow and sustain an organic farm, and engaging in team building activities that foster compassionate relations and community building. Students will also get to enjoy plant-based lunches from the farm that are prepared by TLW's Farm-To-Table chef, with each meal introducing and encouraging the consumption of healthy produce. Camp TLW is designed to help children develop a deeper appreciation for nature and how food is grown. The camp serves children ages 6-12 years old in two-week full day sessions (Monday - Friday/9am - 4:30pm). 10% off for each sibling enrolled in camp! STEAM influenced garden education and activities. Fun and content-related field trips! Healthy plant based meals prepared by the Farm-to-Table chef. Fruit or garden produce, such as cucumbers, carrots, and tomatoes at snack and/or meal times. Other healthy snacks and plenty of water. Partial scholarships are available for families who need assistance to send their child to camp! For more information about partial scholarships and to apply please send an email to camp@trulylivingwell.com.